Look for the black, yellow and white signs. 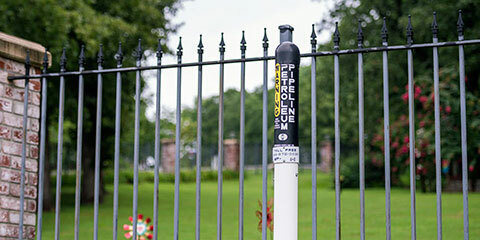 Pipeline markers help identify the location of Explorer’s system. It’s free. It’s fast. It’s convenient. 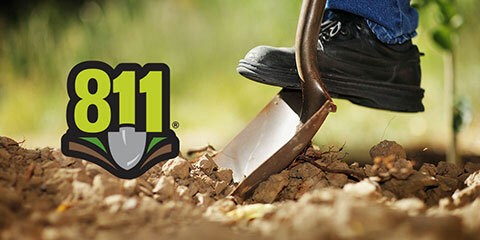 Call 811 before beginning any excavation project. 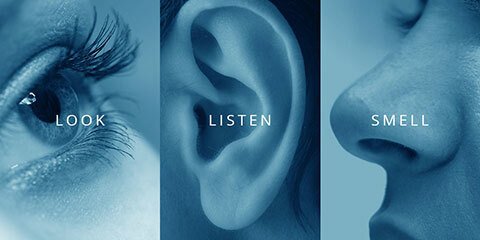 Pipeline leaks are unlikely, but use your senses to help recognize and report any potential concerns. Each day, millions of miles of underground pipelines transport petroleum products across the United States to homes and businesses. Statistics show pipelines are the safest mode of fuel transportation, both for the public and the environment, according to the National Transportation Safety Board. Explorer uses a comprehensive integrity management plan to keep our pipeline running safely. We constantly monitor the pipeline through field inspection, aircraft patrols and 24-hour observation from our operations control center in Tulsa, Okla. We also regularly inspect the interior using technology to detect potential corrosion and mechanical damage. We’re proud that the National Safety Council and American Petroleum Institute (API) have recognized our efforts with safety awards. But safety is something we never take for granted. It’s our number one value.